KZN To Senior Citizens: No More Bingo! Just a few short weeks after being in the midst of a ruckus about Electronic Bingo Terminals (EBTs), the KwaZulu-Natal Gambling Board has reportedly attracted ire again, this time from the province’s senior citizens. According to a local newspaper, the KZN Gambling Board is trying to stop social, unlicensed bingo in the area, which they state is a form of illegal gambling. Of course, for the players of this fun pastime, it seems that the Board is out of line, since social bingo’s wins are so small. Both physical and online bingo have long been associated with the elderly, and though there are a number of websites that offer electronic bingo, many senior citizens state that they visit bingo halls for the social aspect of the game, and not the potential wins. With a small bet of between R10 and R20, participants can expect to win a tiny sum of only R50 to about R500. Additionally, the bingo halls and parlours that run these games see absolutely no profit. 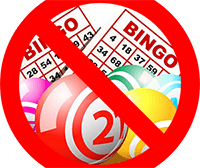 One player stated that these bingo sessions are being unfairly targeted, while another stated his confusion regarding how the provincial board had even found out that all of the social bingo groups were being run. It seems that though licensed bingo halls exist in the area, as do local casinos, these are not viable gaming options for the elderly. When it comes to bingo, the elderly simply cannot afford to visit licensed practitioners, and so, have formed social bingo groups in an effort to have fun with minimal investment.